October 31, 2017 — Interest rates remain highly favorable for borrowers but have increased over the past year. How do taxable and tax-exempt rates compare today as a result of the recent headlines surrounding corporate tax reform? 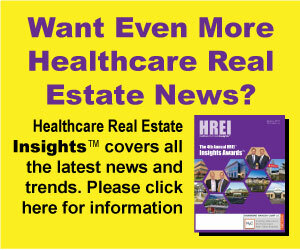 Are taxable debt offerings increasing in popularity among non-profit healthcare entities? There is plenty of discussion regarding an additional rate hike in 2017, but what about the Federal Reserve’s plan to “normalize” its balance sheet? How will balance sheet normalization impact rates? Although market knowledge is an important factor in developing strategic and financing plans, senior executives at health systems may not always have time to monitor the market on a regular basis. 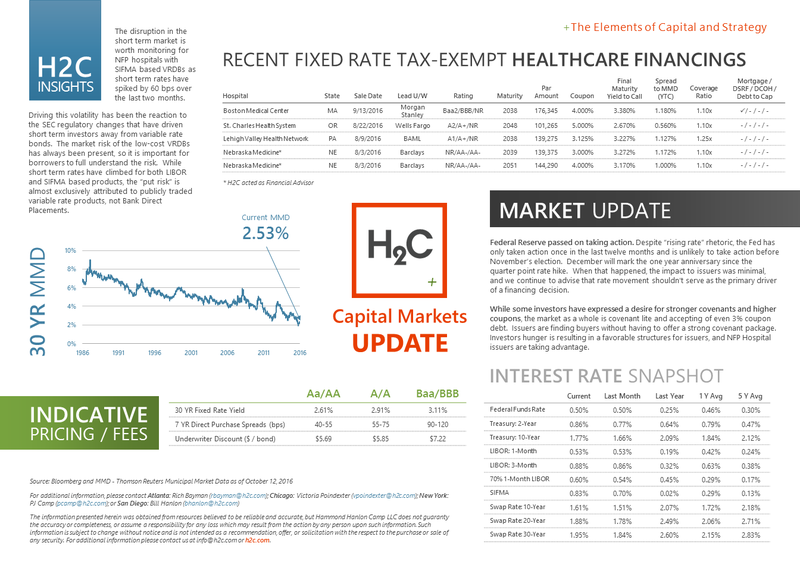 H2C has designed the Quarterly Capital Markets Update to provide a swift and easy snapshot into the capital markets, allowing readers to quickly gain insights and observations. This one page update covers interest rates, market trends, and industry news. To download the most recent H2C Capital Markets Update, please click here. Hammond Hanlon Camp LLC (“H2C”) is an independent strategic advisory and investment banking firm committed to providing superior advice as a trusted advisor to healthcare organizations and related companies throughout the United States. H2C’s professionals have a long track record of success in healthcare mergers and acquisitions, capital markets, real estate and restructuring transactions, acting as lead advisors on hundreds of transactions representing billions of dollars in value. Hammond Hanlon Camp LLC conducts securities-related engagements through its wholly-owned subsidiary, H2C Securities Inc., member FINRA/SIPC. For more information, go to www.h2c.com.